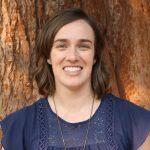 Jennifer Hoofard joined Tucker Maxon as grant writer in February, 2017 after serving as a Development Associate for Grants at the Portland Art Museum, as well as contract Grant Writer for Portland Playhouse. She also completed a competitive Development Apprenticeship at the Right Brain Initiative, the Arts Integration/Education arm of the Regional Arts and Culture Council, and has written grants and coordinated events for Le Monde French Immersion Public Charter School. 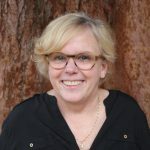 Prior to transitioning into Development, she was an academic, teaching writing at PCC Sylvania, as well as a Delve Readers’ Seminar for Literary Arts on the poetry and drama of Lorca and Yeats. Before moving to the Northwest in 2009, she taught literature and composition at the University of San Francisco, The San Francisco Art Institute, and at Mills College (where she did her MA) as a Visiting Professor for 5 years, as well as at UC Davis. She earned her Ph.D. in English at UC Davis specializing in Literature by Women, 20th Century American Literature, Poetry and African American Literature. She is a single mom-by-choice to boy/girl twins; loves to sing, read, antique, and travel; and has studied and/or taught abroad in England; Florence, Italy; and Bordeaux, France, and traveled to over 30 countries.